RELAXING IN THE SHADE -- Designed by Thomas Vaughn, 2017's Koala is standing in the shade of a eucalyptus tree, spying the ground for a tasty leaf or two. Fortunately, this search will be rewarded soon if the leaf on the left is any indication! Intricate details in both the foreground and background provide a perfect setting for this gorgeous mammal. 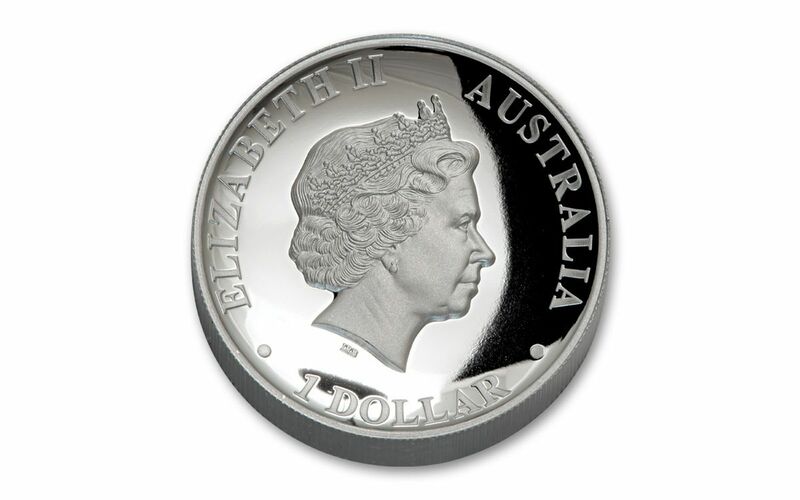 PROOF MINTED IN HIGH RELIEF -- The Perth Mint is known around the world as one of the leaders in high-relief proof production. 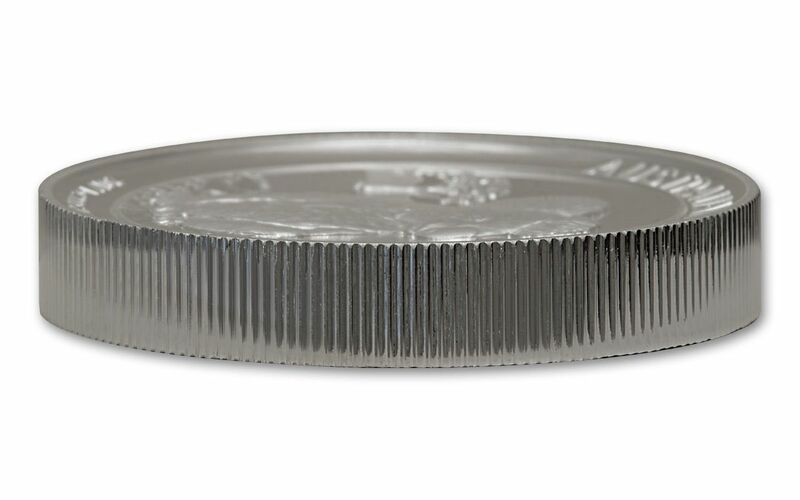 Beginning as a hand-selected, one-ounce planchet of 99.9% pure silver, each coin is struck multiple times by polished dies to produce a design with incredible depth and frosted features over a mirror-like surface inside of a deep, concave field. 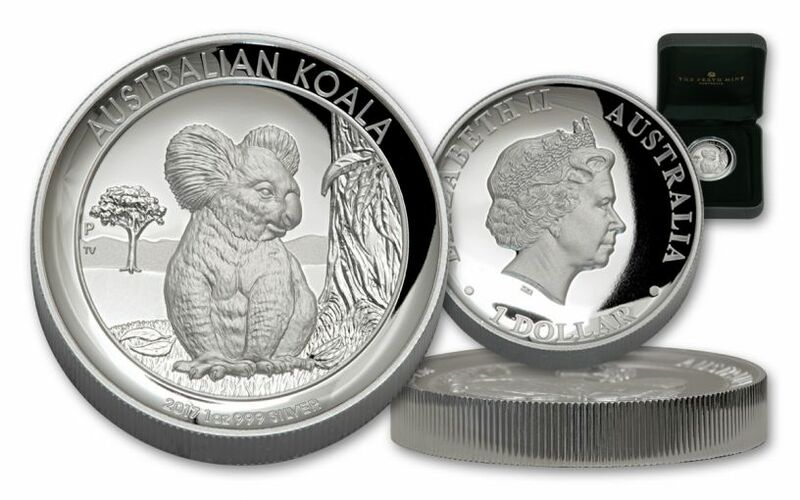 AUSTRALIAN LEGAL TENDER -- Each Silver Koala High Relief Proof is one dollar Australian legal tender, a fact reflected on the coin's obverse along with Ian Rank-Broadley's profile of Her Majesty Queen Elizabeth II. 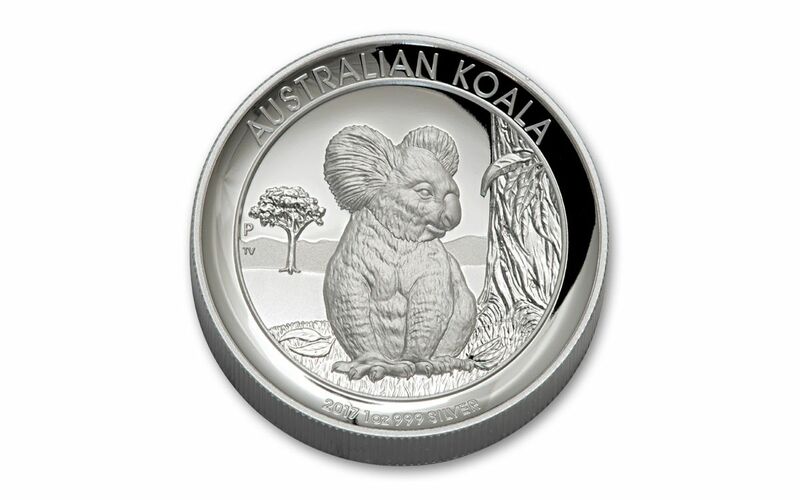 To find the proof's year, weight and purity, it's all right under the koala's feet on the reverse! 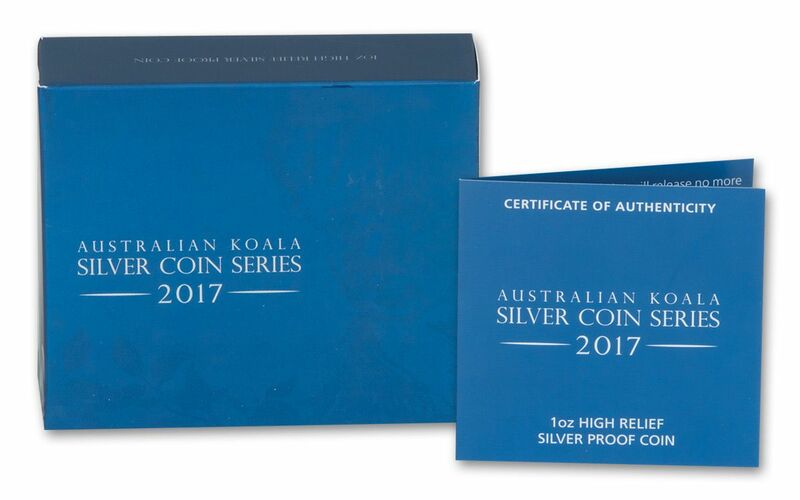 LIMITED EDITION PACKAGING -- Your 2017 1-oz Silver Koala High Relief Proof will come in special mint-issued limited edition packaging. 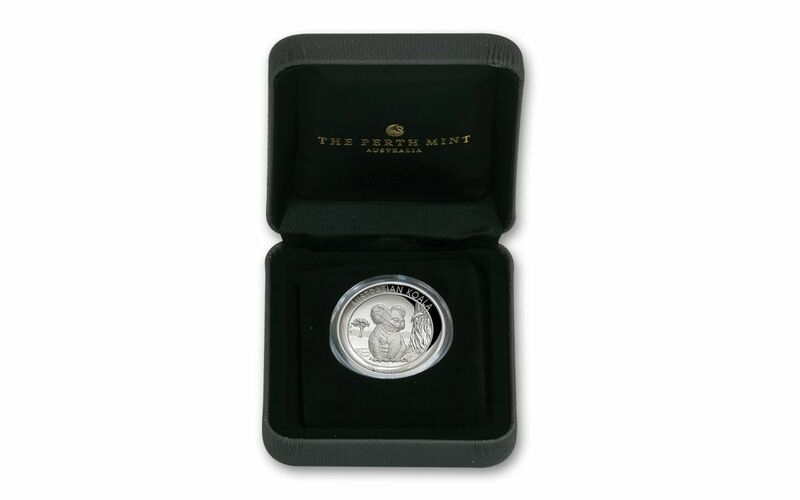 Encased in a colorful themed shipper, your proof is secured inside a gray Perth Mint-branded display case along with a numbered certificate of authenticity. A LIMITED MINTAGE! -- Out of the limited mintage of 10,000 proofs, only 9,000 will come in this colorful limited edition packaging!